Alejandro Jodorowsky’s magical film “The Dance of Reality”. Jodorowsky as the mago in The Holy Mountain. There are two drives that propel people to produce a work of art, one private one public. On the one hand, they have an urge for whatever reason to express themselves. And on the other, they fall in love with a medium, be it film, the album, the novel or whatsoever. And, despairing at what today’s practitioners are doing with it, they feel compelled to create something interesting. I was thinking about this while watching the new Bond film, and goodness knows I had plenty of time to drift off. Before the delights of seeing Daniel Graig shuffle so grumpily from scene to scene looking for all the world like a labourer forced to wear a borrowed suit for the day – and by the bye, declawing Bond of his class is like relieving a great white shark of its teeth – we were treated to a brace of trailers. 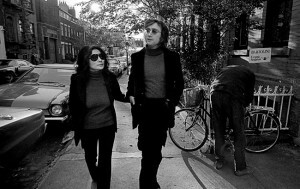 John and Yoko were big fans and launched El Topo in NY. And for six or seven minutes, various costumed performers, played by actors, stood where they were told to, spouting portentous inanities, as on the green screens behind them a succession of computer generated foes and perils appeared with impressive, dull precision. And as interchangeable lines of dialogue were mechanically mouthed – they could have been from any of the other films in the franchise, or for that matter, from any of the rival franchises, but for the record the pair in question were Batman V Superman and Star Wars – all the seats around me shook, physically. For the entire duration of the trailers, our ears were pummelled by an onslaught of digitally enhanced sounds, and our eyes were assailed by frame after frame, jam-packed with as much stuff as it was physically possible to cram into them. It was the cinematic equivalent of being trapped in a pound shop on steroids. They clearly think that if they can force as much junk as possible into the one space and bombard our senses with it, no one will notice how unconnected each of the individual bits are, and what little substance there is behind the packaging. No wonder Graig is so grumpy. He’s just an inelegant clothes horse around whom are placed as many overpriced products as it’s possible to pack into each and every frame. What a fantastic time to be film maker. There is so much to rail against. Both those drives, the need to express himself and the urge to do something interesting with the medium, are gloriously in evidence in the few films we have from the wonderful Chilean film maker Alejandro Jodorowsky. Jodorowsky is what a hippy would look like, if being a hippy didn’t expressly forbid you from pursuing any of your activities with any sort of actual intent. He has spent his life expanding his consciousness in the pursuit of spiritual salvation, by delving into the inner recesses of his subconscious. He first burst onto the international film scene with the acid western El Topo in 1970, which effectively invented the idea the cult film and single-handedly launched the midnight film scene in New York. Jodorowsky with his son Brontis in El Topo. John and Yoko were so impressed, Lennon put up $1m for his next film, The Holy Mountain, in ’73. Which, inevitably, proved to be something of a damp squib and is, truth be told, hopelessly self-indulgent. After an abortive and outlandishly expensive attempt to film Frank Herbert’s cult sci-fi novel Dune – which David Lynch would similarly make a mess of – he moved to Paris and spent the next decade or so reading tarot cards. But in ’89 he made a triumphant return with the quietly bonkers Santa Sangre, and then The Rainbow Thief in ’90, before disappearing once more into the artistic wilderness. But in 2013 he re-emerged to much applause when he presented his latest film, The Dance of Reality, at that year’s Cannes Film Festival. Ostensibly an autobiography charting his lonely childhood in pre WWII Chile, it is both about the stormy relationship he had as a boy with his macho father, and an attempt by the now older artist to reconcile himself to his father’s memory. Brontis playing Jodorowsky’s father (and his grandfather) in The Dance of Reality. It is of course and as ever entirely bonkers but in a completely good way. At one point for instance, his father wakes up to discover the hunchbacked dwarf with whom he’s been sleeping has painted tattoos all over his paralysed arm in his sleep. And as he is walking down the road pondering this, he is met by a Catholic priest who looks at him disapprovingly and places an enormous tarantula on his withered arm, before walking off again. Neither he nor the spider are referred to again. Imagine a Bunuel film directed by Fellini and peopled by amputee dwarves and hunchbacks. But in a good way. What elevates this from all the other Jodorowsky films is that for once, the intellectual curiosity, mythological archetypes and spiritual yearning are matched here by an emotional investment that makes for a surprisingly moving film. He’s 86 now, and is busy working on the follow-up. I hope someone has the good sense to give him the funding he needs. The cinema needs people like him to keep us all sane. You can see the trailer for The Dream of Reality here. 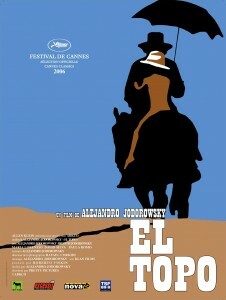 And the trailer for El Topo here.